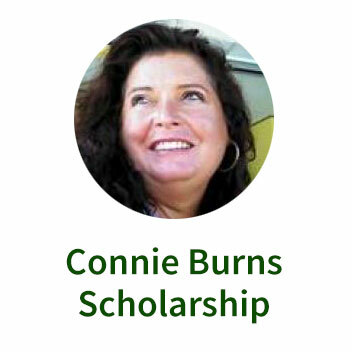 Connie Burns, of Effingham County, GA was an active Georgia Recycling Coalition (GRC) member for several years and was renowned for her spirit, love of life and adventure, and her true understanding of and dedication to effective waste reduction and recycling practices. The solid waste and recycling community lost Connie to an unexpected death in August of 2012. Connie was active in Solid Waste Association of North America (SWANA), serving as the director of the group’s communication, education and marketing division. As a way to remember and honor her life and work, GRC in partnership with SWANA Georgia Chapter, established the Connie Burns Scholarship Program dedicated to assisting and mentoring Georgia college and university students interested in a career path in recycling, composting, environmental practices, and sustainability. Scholarship(s) are awarded annually to one or more students, not to exceed $1,000 per individual.